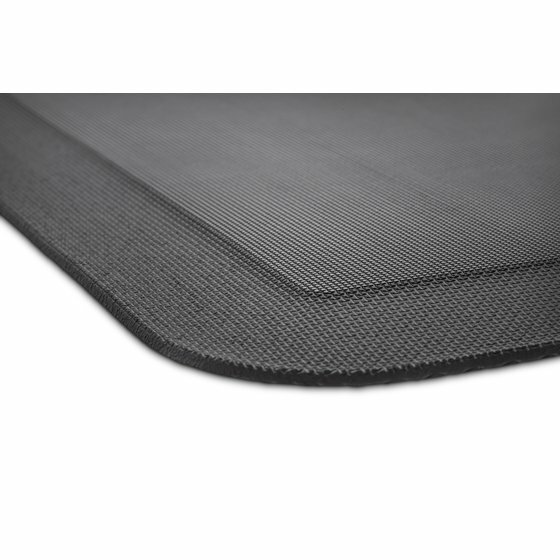 The Kensington Anti-Fatigue Mat combines superior gel comfort with professional durability to provide the perfect companion for standing workstations. 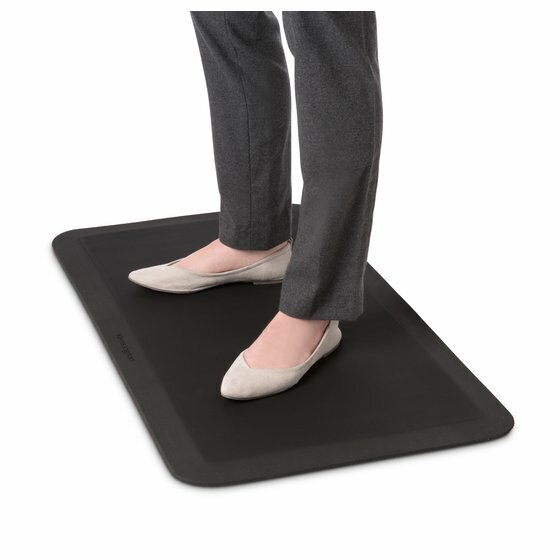 Maximizing the health benefits of standing while working, the Anti-Fatigue Mat is made of the highest quality materials and ergonomically engineered to reduce fatigue on legs, back and feet at the office, laboratory,workshop, kitchen or garage. Designed to stimulate blood circulation and reduce fatigue on legs, back and feet by providing better pressure distribution and significantly reducing contact stress. Foam	A perfect office, lab, garage or kitchen mat offering superior performance over polyurethane foam mats. 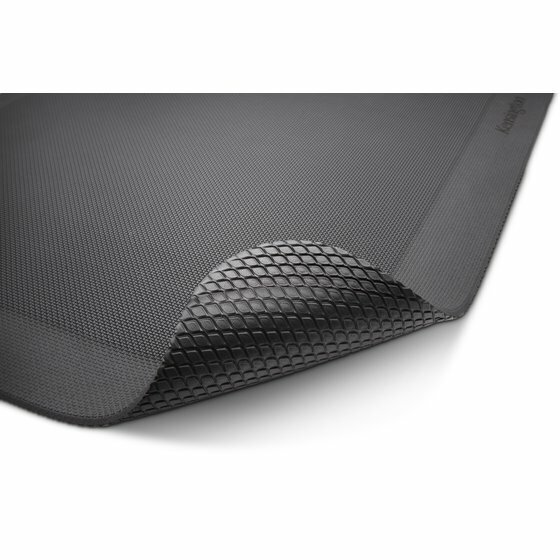 Provides unmatched tensile strength to resist tearing, an easy-to-clean waterproof and oil-resistant surface, enhanced shock absorption to reduce fatigue, and enhanced durability for high traffic areas to ensure the mat will not break down or compress over time. High-traction certified by the NFSI to reduce slipping risks and ensure mat stays in place even in heavily trafficked areas. 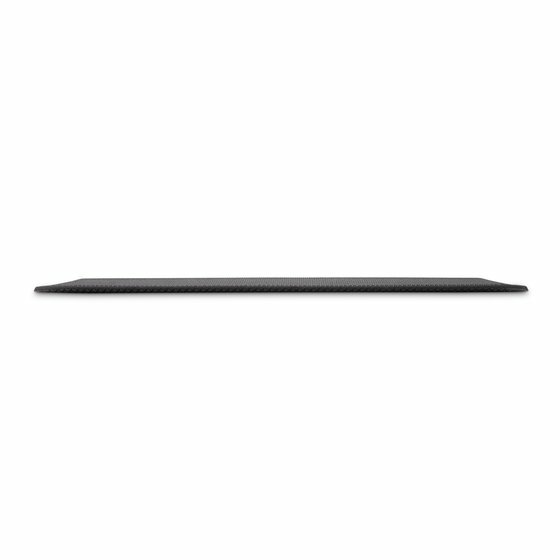 Designed with compliance in mind, the edge the mat will not roll-up, is trip resistant, and provides the 18° angle for an office chair to roll on and off with ease. Vinyl and BPA-free to support stricter environmental standards than most traditional polyurethane foam mats for a healthier work environment, while also meeting Cal 117 fire safety standards. 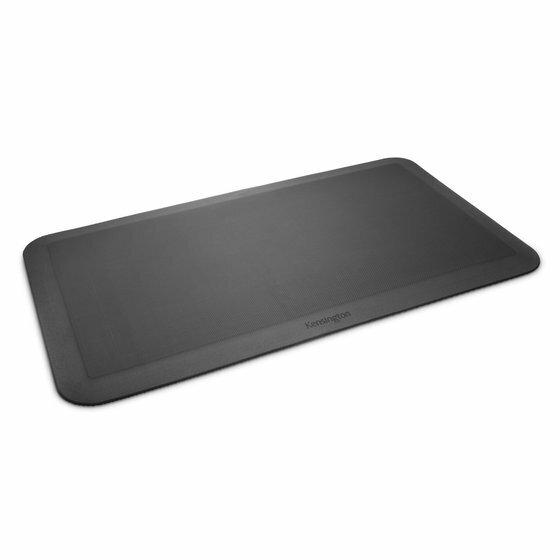 Prevents unwanted creases and curled edges so your mat is ready for professional use right out of the box.